Fashion trendsetter, MTV reality star, and clothing designer Whitney Port learned to navigate her new independent life in New York with grace, style, and a sense of humor. 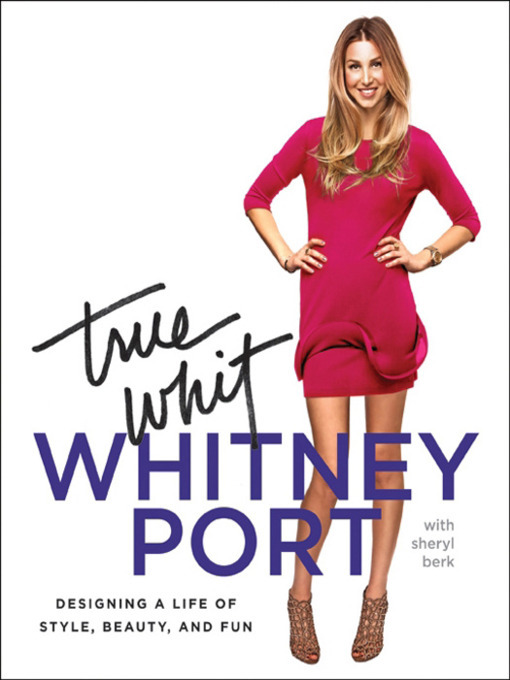 From backstabbing coworkers and bitchy bosses to long-distance boyfriends and a daring new career in fashion, Whitney managed to handle it all. Intimate and honest, Whitney opens up about everything from fashion and beauty to romance and careers. She dishes on: her experiences working at Teen Vogue, People's Revolution, and Diane von Furstenberg; finding love and trying to make it work; and life in front of the cameras. Whitney shares her unique style philosophy, including when to break the rules, her family's influence on her sense of style, and her perfect outfits for any occasion—from meeting your guy's parents to wowing an interviewer for a job. Whitney also details what young women really want to know, like what to eat when the mid-afternoon munchies strike, how to throw an impromptu party, and how to hide a hangover. With hundreds of photos and chock-full of must-have lists and style favorites, this colorful scrapbook features pics from Whitney's personal photo albums and from major moments in her life, including on the runway, at her private birthday bash, and out on the town with friends. And for the first time, Whitney shares the true reality of an emerging fashion designer, highlighting her creative process, sketches, and fabrics. Through personal stories and private snapshots, fans will get to see a side of her that the cameras don't capture. This is Whitney Port revealed.